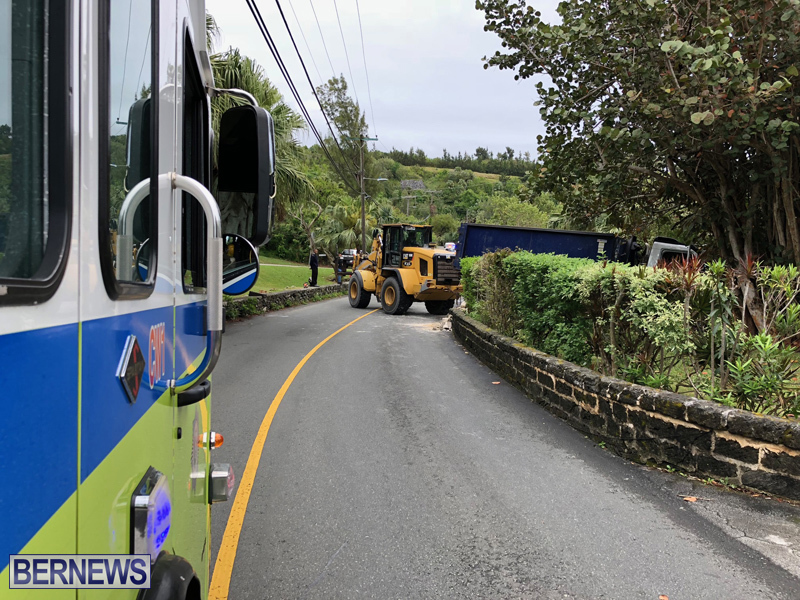 [Updated] There was a collision this morning [April 30] which involved a truck crashing through a wall in Hamilton parish. Further details are limited at this time, however we will update as able. 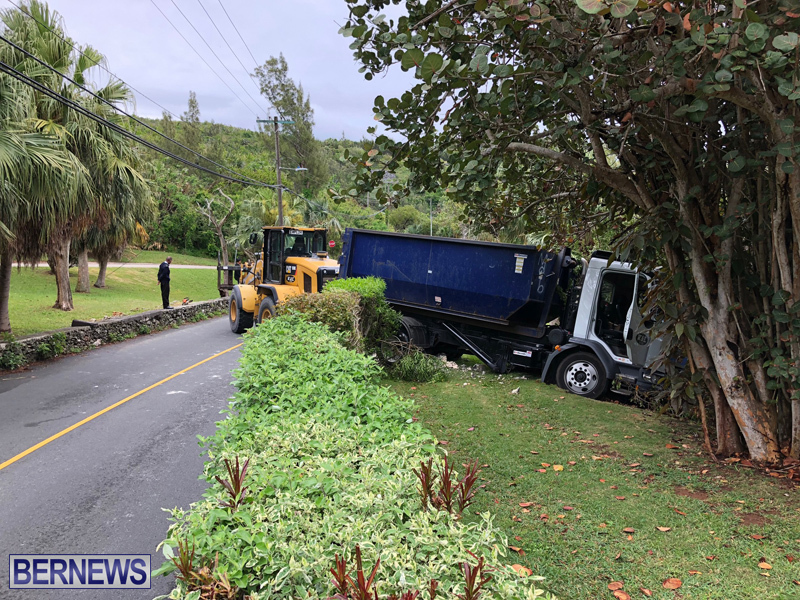 Update 10.48am: A police spokesperson said, “At 9:46am today [April 30th] police and other first responders attended a report of a road traffic collision that took place on Harrington Sound Road in the area of Quarry Road, Hamilton parish. 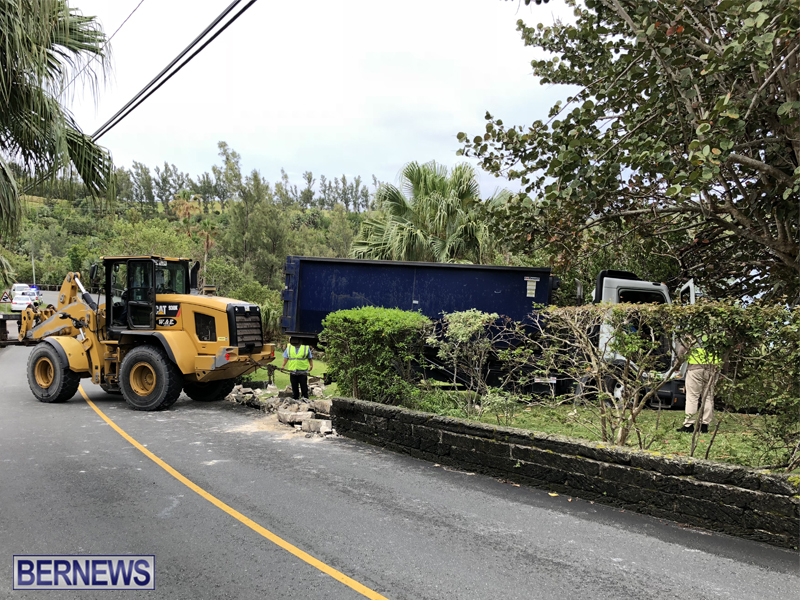 “It appears that the driver of a Works & Engineering industrial waste truck was traveling north on Harrington Sound Road when he apparently lost control of the vehicle and struck a wall of a private residence, with the truck coming to a stop on the premises. 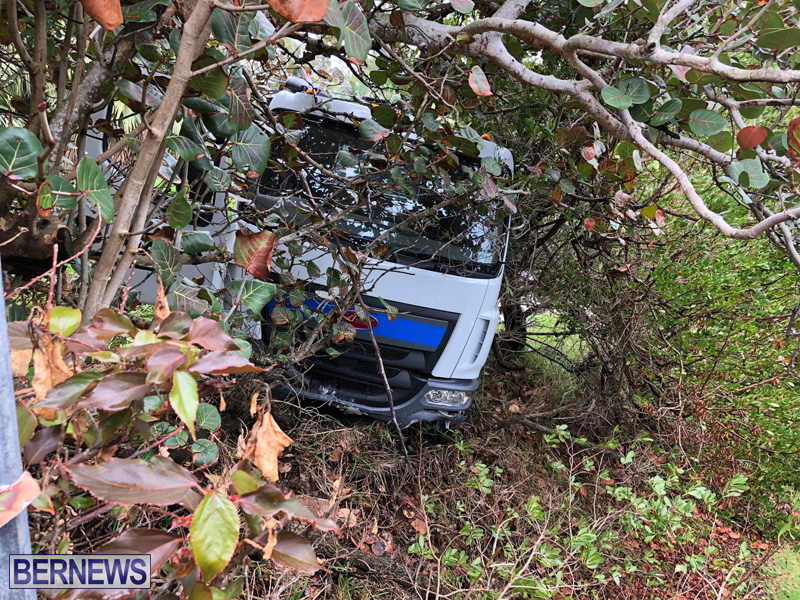 “The man was assessed and assisted by the Bermuda Fire & Rescue Service before being conveyed to King Edward VII Memorial Hospital via ambulance. “An update on his condition is anticipated in due course. 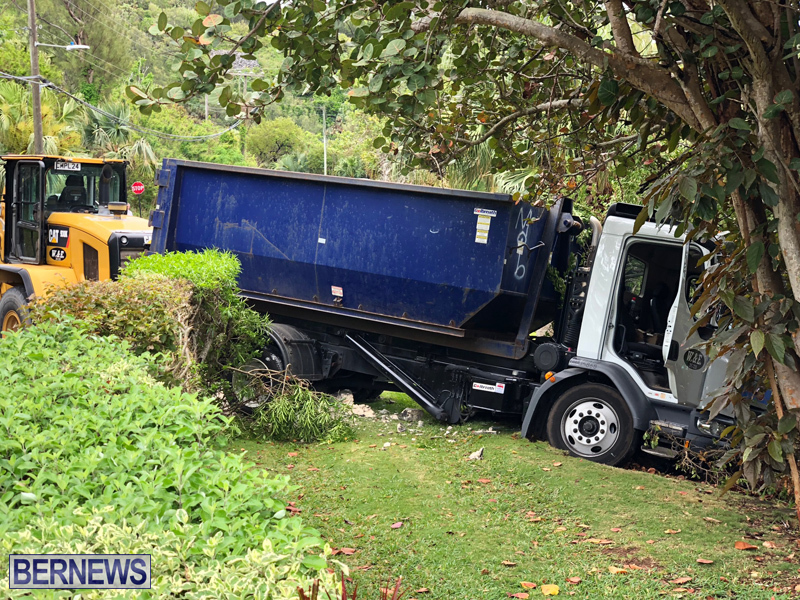 The area has been cordoned off and traffic is being diverted whilst the truck is removed from the property. 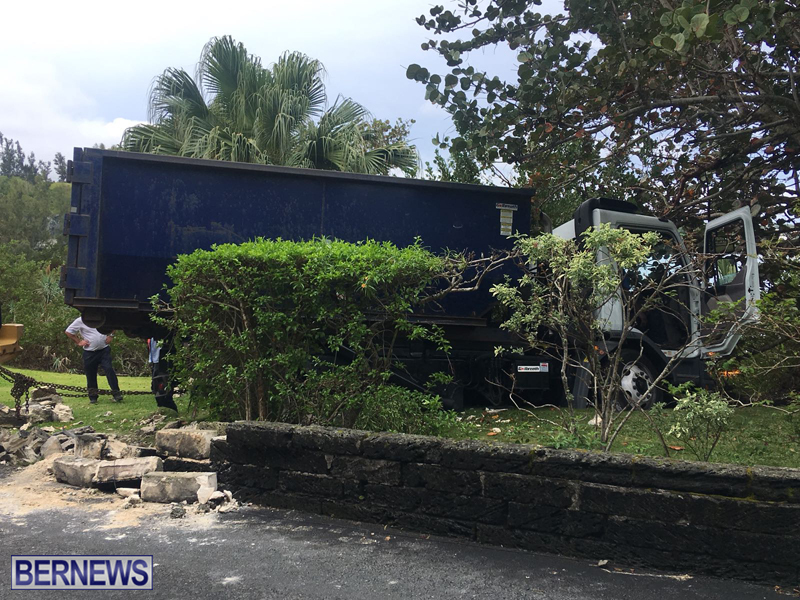 Update May 1, 11.18am: A police spokesperson said, “At last check this morning [May 1st] the driver of a Works & Engineering industrial waste truck that crashed into the wall of a private residence on Harrington Sound Road in the area of Quarry Road, Hamilton parish around 9:45am Monday, April 30th – believed to be a 59 year old Sandys parish man – had been medically assessed at the hospital and later discharged. 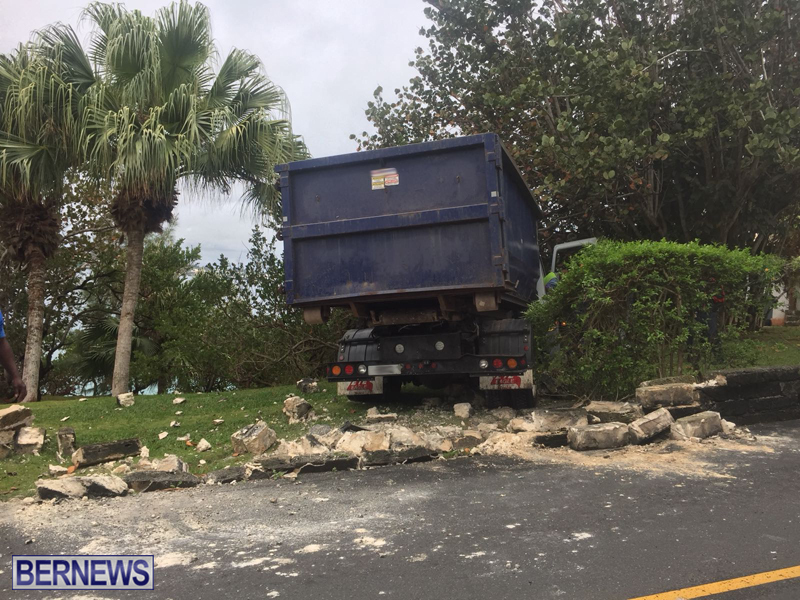 “Both the truck and wall were damaged. 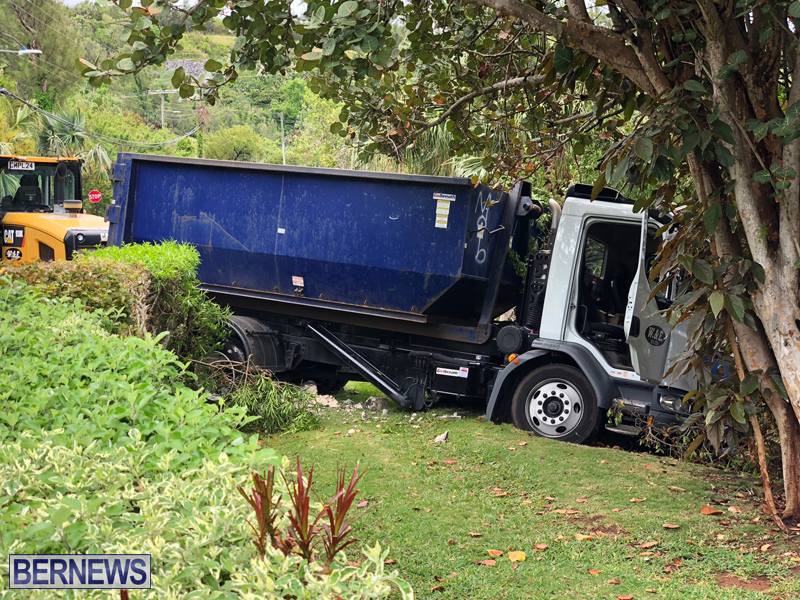 The damaged truck was subsequently removed from the property. W&E going for a record for the number of accidents in a week. W&E again? What’s going on? 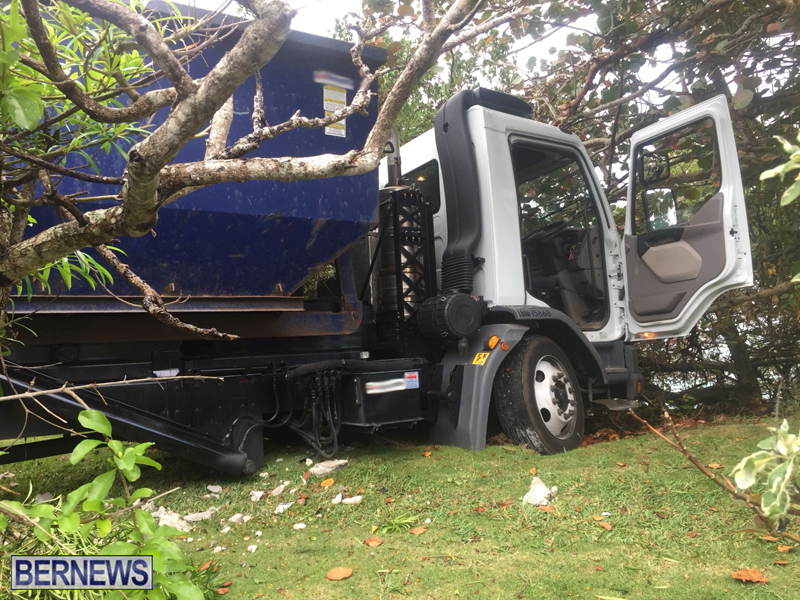 It is not just the truck consider the wall and how many man hours it will take them to rebuild it…unless we hire a private company to do the work maybe the two guys who fixed Shelly Bay bus shelter in two days. Spanking new. Got a cement truck too. Job creation, someone to pull the truck out, some one to fix the truck and someone to fix the wall. The driver will get promoted! I guess the promotion will be for them making an impact on the economy. Still waiting to see the brand new bus. Perhaps W&E will fix the home owner’s wall gratis? Don’t worry this government has more money to waste on another truck for another year…at our expense.